4/26/2017 VIRGINIA BEACH, VA A few months ago, my brother came to visit. It was a special time because I had not seen him in so long. He was also brought his three boys. Adding my two “little men” and myself to the party, our total soon grew to seven. Boy, were we rolling deep! #2: Who is it for? Instax film is for anyone who wishes to experience something unique in the world of photography. 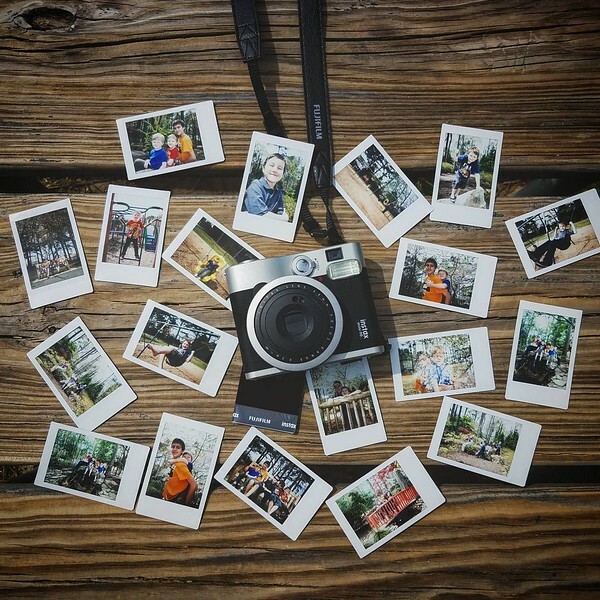 Generally marketed toward the point and shoot demographic, Instax film has seen quite a positive response from professionals and casual photographers alike. This speaks volumes about the quality and magic of the film itself. 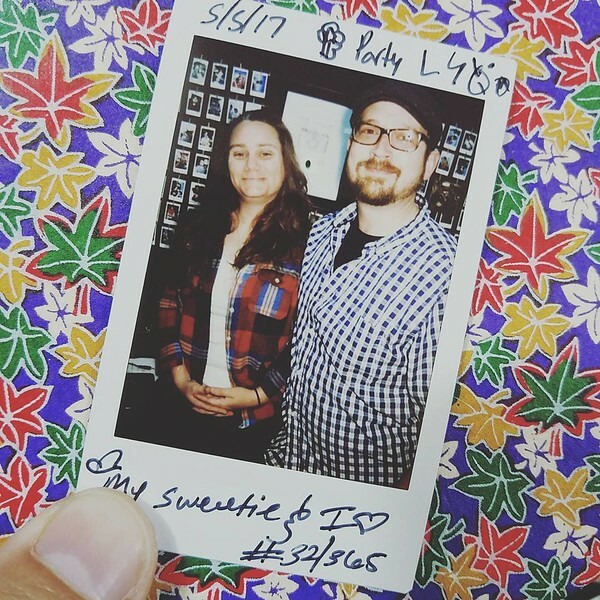 Mothers, Fathers, Doctors, School Teachers; anyone can enjoy the pleasure of Instax film and be assured of a beautiful memento from any occasion. From snapshot to portrait, Instax Film is a great choice. This is a picture of a picture, some image quality has been lost. The number one reason to use Instax film in the age of digital photography is uniqueness. 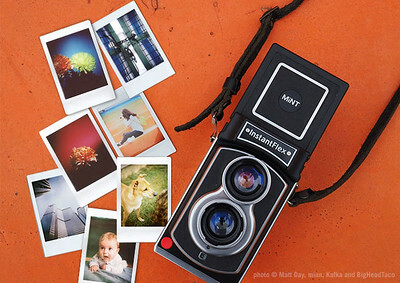 With Instax photography, once an image is taken, it is the only one. It’s unique and special. This is important because we live in a world where anyone can have what they want. You want a perfect wedding kiss, take lots of pictures at a wedding and you’re bound to get something, right? With 35mm film (and other analogue formats) once developed, you possess the negatives to edit as you please. Even with traditional film, there is the opportunity to edit, crop, fix, and develop images to your taste. However, instant film, like Instax film, is one and done. It’s one of a kind. There is no negative, no second chances, and no do-overs. In this way, composition, exposure, and creativity are paramount. It requires practice to master, but offers automatic exposure modes to help ease the transition into the medium (and at a buck a shot at the expensive end, you’ll appreciate the auto modes in the beginning). The second reason is ease of use. 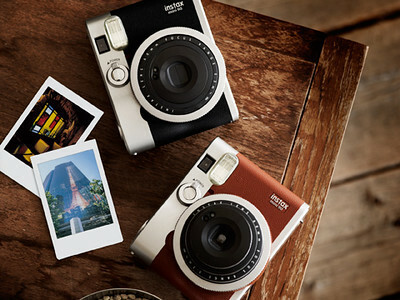 Each Instax camera offers different features from basic point and shoot with models like the Mini 8, and advanced Program Automatic with exposure compensations and density corrections. You can find the most advanced “manual” controls in the Mini 90. No matter which kind of photography you prefer, there is an Instax camera to make photography enjoyable. Instax is instant film, like Polaroid instant film. There are some differences between the two, however. To start off, Instax is a trademark and brand owned by Fujifilm. Polaroid is the name of the instant camera company started by Dr. Land. Therefore, both Instax and Polaroid refer to a brand name of a product. Many people think Polaroid is the physical print that came out of a camera produced by the Polaroid company, and because of how unique the experience and film was, the name quickly stuck. However, Instax is not Polaroid. 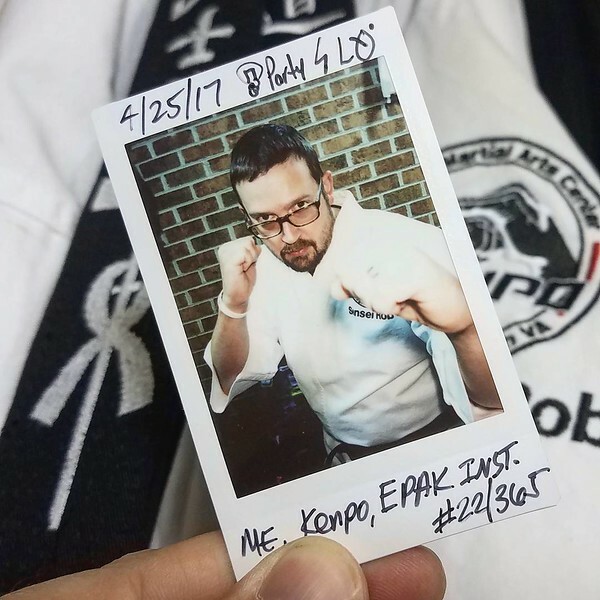 Many people may refer to an Instax camera as producing a Polaroid, but that’s not technically correct. Yet, the intent is the same. Most people mean Polaroid to be an instant print, so in that sense they are similar. Both Fuji and Polaroid produced cameras and film to create instant development prints. Unfortunately, Polaroid stopped making instant film in 2008. Their work was picked up by the IMPOSSIBLE Project, a company that currently produces film for Polaroid cameras in place of the Polaroid company. #5: How does it work? Instant prints work because of chemistry. The small print itself is a combination of liquid chemical developer, a positive emulsion on cellulose, and color dyes. The film is exposed when the shutter is pressed. It begins to develop as soon as the camera ejects the print. In a very unique design, the developer packs which are sealed off from the film are broken open by small rolling pins when the film ejects. Think of the film like dough and the rollers like a French rolling pen. When you roll the rolling pen over the dough, the dough flattens out and is squeezed into a small sheet. The process is the same for instant film. When the film ejects through the rollers, the small packs of developer, which are housed in the white border of the print, are squeezed through the roller pens and the packs are broken. This releases the developer and spreads it evenly over the film, thus developing the image. #6: Are the images low resolution? 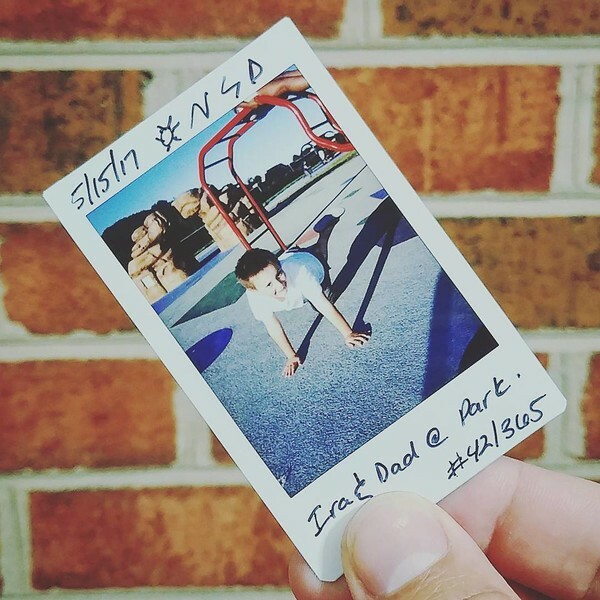 Instax images are not low resolution because they are not digital. They are analogue prints with a resolution of 12 lines per millimeter. More on that in a moment. It’s important to remember that when shooting with Instax film there is no back up of the image. This is because there is no digital file, no SD card, and no internal memory. #7: Is Instax film, like real film? Yes. It’s real film. There is no digital file saved. When an image is captured that picture is unique and one of a kind. If you want two, take two. Instax is daylight balanced (5500K) film rated at ISO 800. Instax film is a Direct Positive Sigma Crystal Emulsion print developed by Fujifilm with a soft grain structure and enhanced saturation curve. The contrast ratio can be a little sharp, and although I couldn’t find any references to it from Fuji directly, I feel that it offers about 9-10 stops of dynamic range. This is a reasonable result considering that this film mimics slide film in the perspective of a positive image. The Sigma Crystal Emulsion technology expands the limited dynamic range of traditional slide film from about 5-7 levels to the roughly 10 I have experienced with Instax 800 Color. For reference, the X-Trans ii sensor in the Fujifilm XT-1 has a dynamic range of about 14 EV. Of course nailing down the exact Dynamic range of the X-Trans ii sensor is difficult because Fuji didn’t publish it (most camera manufacturers don’t), and because DXO Mark does not test Non-Bayer sensors. So, my number is from my own testing and experience. Your mileage may vary. This means that when photographing with Instax 800, you must be careful to keep highlights and shadows balanced. Too much shadow and highlight detail will be lost, same for too much highlights. It’s easy to overexpose images in bright daylight. I recommend using exposure compensation to darken the image overall and the on camera flash to fill the shadows (just make sure to position your subject in such a way that the flash doesn’t create any unwanted shadows when used). Another thing to avoid is very bright highlights, such as a flash reflection in someone’s glasses, or the sun, or bright reflections in general. These are all situations which will result in a black spot on your film representing the completely over exposed area. #8: How does it compare to other films? Instax performs quite well compared to contemporary films, such as Fujicolor Pro 400H. In this instance, we have some great hard data to compare directly in lines of resolution per millimeter. As I said before the Instax provides 12 lines per millimeter of resolution. The pro 400H provides 50 lines per millimeter on subjects with a low contrast ratio (1.6:1) and up to 125 lines per millimeter of resolution on subjects with a high contrast ratio (1000:1). The key difference between the Instax and Pro 400h is that the 400h is a negative film designed to be enlarged and the Instax is a positive film designed to be developed instantly and not enlarged. The Fuji Pro 400h is a professional film and as such has a much wider exposure latitude, as any negative film would, however, for the size and expected viewing conditions, the Instax renders an excellent image. #9: What is the exposure range of Instax? Without knowing the technical exposure data that Fuji provides with its other traditional films, I am left to make some assumptions based on what we do know. The Mini 90 is published to have a light value (LV) range of 5-15.5. This is not the same as exposure value. Light Value is a measurement of incident light on a subject. For example, a beach ball photographed in front of a white sheet will have a completely different LV when photographed in front of a black sheet. A light value of 15 is a bright sunny day with hard shadows. An LV of 5 would be indoor images with artificial lighting turned on, think of your living room at night with the lights on. An LV of 3 would be a brightly lit street at night. Google Light Value Charts for more information. This information actually tells us a lot about the film itself. If we have a range of outdoor in noon day sunlight to a well-lit indoor room we can use that information to figure out the exposure range of the film. In a perfect world with the Sunny 16 Rule, an outdoor noon exposure would require f/16 and 1/800 second at ISO 800. The Mini 90 does not have 1/800 sec. It’s fastest shutter speed is 1/400th second. So, to make up the stop from f/16 at 800, we would need to use the reciprocal of f/22 at 1/400th. 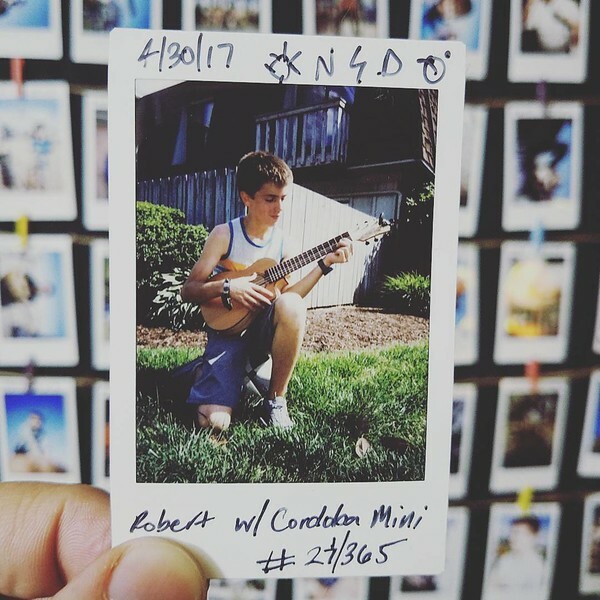 So, in the brightest conditions with the Mini 90 equipment, Instax 800 can photograph outdoors in noonday light at f/22 and 1/400th a second. That’s pretty good. In fact, it’s the fastest shutter speed on the market. The nice part here is that the shutter is electronic and the camera will pick a shutter and aperture combination anywhere between f/12.7 or f/22 and 1.8 seconds to 1/400th of a second. This means that the exposure range from Outdoor sunlight to indoor light is its normal range, and this is about 10 effective stops of light in any number of shutter speed and aperture combinations. The extended range would be much more creative and would extent into the slower shutter settings of up to 1.8 second to 10 seconds when using bulb mode. A final thing to note is that the user can not directly access a specific shutter speed or aperture. Instead you choose an automatic mode best suited for the shooting experience and use the exposure compensation button, known as the lighten/darken button, and the flash control to tell the camera what kind of density you want the exposure to be, and the camera figures out the rest. This is a very precise system and I have found it to render excellent results. #10: What kind of camera systems are offered? Fuji has been making Instax cameras and film since 1998, and as such the system and film have gone through several major revisions and improvements. The current line-up of cameras includes the Mini 90 and Mini 70. These cameras represent the top-of-the-line versions available with advanced exposure features and focusing. Another line of Instax cameras which go by a one digit name exists. The Mini 9 and Mini 8 are the current offerings of these more affordable cameras. The biggest difference between the two categories of camera are the latter are more of a point-and-shoot version without many exposure or advanced features offered by the former. 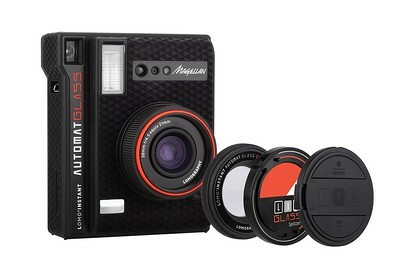 Fuji also offers a wide format Instax camera which shoots an image twice as large as Instax Mini. The current model is the Instax Wide 300. Other systems also use the Instax mini film cartridge. These include the Lomography Lomo’Instant, Lomo’Instant Automat, and Lomo Wide. Leica also provides a camera produced by Fujifilm called the Sofort. It is a slightly redesigned version of the Fujifilm Mini 90. 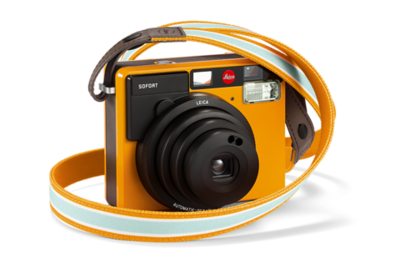 Interestingly, Leica also contracts Fuji to make color and black and white film under the Leica brand for its own offering, although the Sofort will use Instax Mini as well. #11 BONUS: Where is Instax headed? Instant photography is on the rise and Fujifilm is at the forefront of it. An Instax Square format camera and film are set to release in spring of 2017. This is exciting because of how the industry is growing. Having Fujifilm at the head of such a thriving market is promising for photographers because Fuji is a company that cares about its users and is constantly seeking feedback and improvement to make not only a better camera, but a better experience. I’m excited to shoot Fuji. I’m excited to be on the edge of such an engaging technology, and I’m excited to see what Fuji will bring in the future.